Manufacturer of a wide range of products which include random fully auto carton sealer, semi automatic big carton sealer machine and semi automatic small carton sealer machine. By keeping track with the latest market developments, we are engaged in offering our clients an exclusive assortment of Random Carton Sealing Machine. 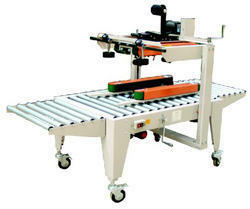 We engage ourselves in supplying Semi Automatic Big Carton Sealer Machine. 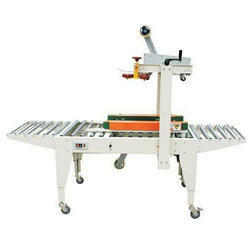 This machine is used for top and bottom sealing of carton boxes using BOPP tapes. It covers various features like adjustable with various size of cartons, adjustable conveyor height, carton holding rollers, mounted on castor wheels.